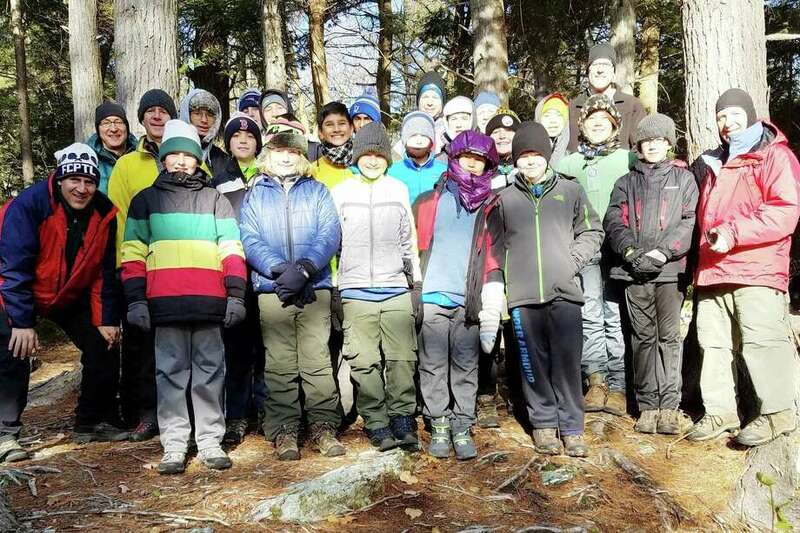 Boy Scouts in Darien’s Troop 53 camped on Mount Everett in Massachusetts on Nov. 11. Darien country western band Gunsmoke recently raised $2,000 for hurricane relief in Texas, Florida and Puerto Rico through its Music for Hope Hurricane Relief Concert held on Oct. 20 at the Piedmont Club of Darien. Formed by brothers Jeff and Nick DeMaio Jr. of Darien, Gunsmoke has been performing classic country, western, swing and rockabilly music for over 25 years and includes band members Christina Mae, Van Mankas and Nick DeMaio III. Half of the money will be donated to the American Red Cross and the remaining $1,000 will go to the charity Samaritan’s Purse. Gunsmoke established Music for Hope in 2010 to raise funds to fight cancer on both the local and national level. With the recent advent of three major hurricanes affecting Texas, Florida and Puerto Rico, Gunsmoke is redirecting its focus for the first time, to the thousands in those areas now living without much hope. Tow Times magazine and Ford Trucks announce that Bill’s Auto Body of Darien Inc., won first place in the working truck category in the 2017 Shine ‘n Star Tow Truck Photo Beauty Contest. The family-owned and -operated company’s 2005 Kenworth T800 chassis with a Century 50-ton towing unit stood out among hundreds of entries received from around the U.S. and Canada. The white tow truck with a custom psychedelic flame and swirl vinyl wrap got the thumbs up from a panel of towing industry judges who voted it the best looking working tow truck in the 26th Annual Shine ‘n Star Tow Truck Photo Beauty Contest, powered by Ford Trucks. The truck, which Billy Parker, the third-generation co-owner of Bill’s Auto Body, bought used several years ago, has over 280,000 miles, placing it in the working truck category. Working trucks must have over 150,000 miles. Parker had the engine rebuilt and puts the Kenworth to good use nearly every day. This is the second time in as many years the Darien company has taken home a Shine ‘n Star prize. In 2015, the company’s 2012 Peterbilt 388 with a Century 60-ton rotator won second place in the heavy-duty tow truck category. Tow Times received hundreds of entries from around the country and Canada, with 16 winners in five different categories. Earlier this month, the Tree Conservancy of Darien planted 29 new trees and 12 shrubs at the Darien Police Station, Veterans Cemetery, the Darien Community Association and the Center Street north parking lot. The Growing Concern, a Darien landscaper, helped with the installation and donated four large holly trees to the police station. The Tree Conservancy of Darien is dedicated to preserving and enhancing the tree resources of Darien for the benefit of the community, its health and its quality of life. Since its inception in 2010, it has planted over 500 trees in Darien. in the gallery starting Saturday and will continue until the drawing on Dec. 24. Mount Everett, near Sheffield, Mass., served as the training ground for Darien’s Troop 53 Nov. 11-12. Eleven Boy Scouts completed 4-mile trek designed to increase awareness of managing heat, hydration, blood sugar and sensory input, such as foot care. The introduction to backpacking group arrived at the trailhead in 14-degree weather to begin the ascent to meet an advanced hiking group at the Glen Brook campsite where they all winter camped without using tents. Seven adults with skills in backpacking, trail cooking, wilderness first aid and leadership development guided the Scouts’ journey. In partnership with At Home In Darien, the Darien High School football captains have extended a special invitation to senior citizens to attend the DHS home games with free admission. The Blue Wave football team, led by Captains Nick Green, Brian Minicus, Michael Neary, and Mitchell Pryor, is excited to welcome senior fans to this season’s home games and look forward to seeing them cheer in the stands. Admission to home games will be free to Darien seniors aged 65 and older, and handicapped accessible space will be available. At Home In Darien, a nonprofit dedicated to providing services and aid for seniors, will arrange transportation with its sedan and van service for those who need it. To arrange a ride or for more information, call the At Home In Darien office at (203) 655-2227.